Every year, thousands of children in the U.S. are killed or wounded by guns in their home. This guide offers lifesaving tips to protect children, and the entire family, from gun accidents. 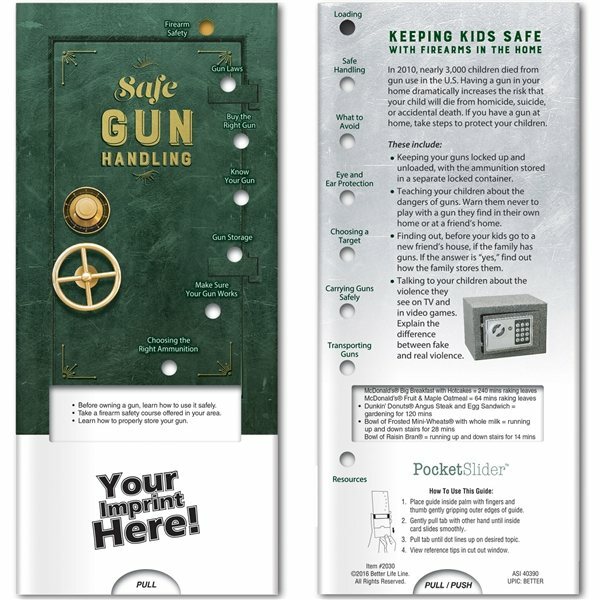 It includes critical information on gun storage and handling, with a special section of tips to keep children safe around firearms. 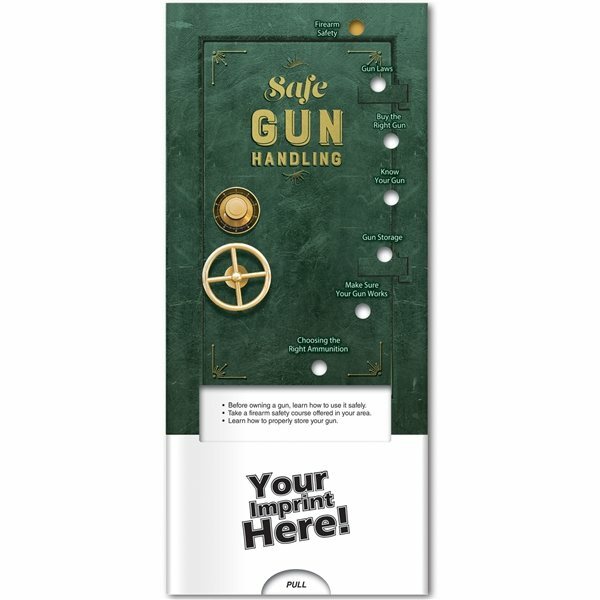 Interactive learning is easy with this sliding informational card. Each bullet point is augmented with interesting information provided through a clear viewing window. 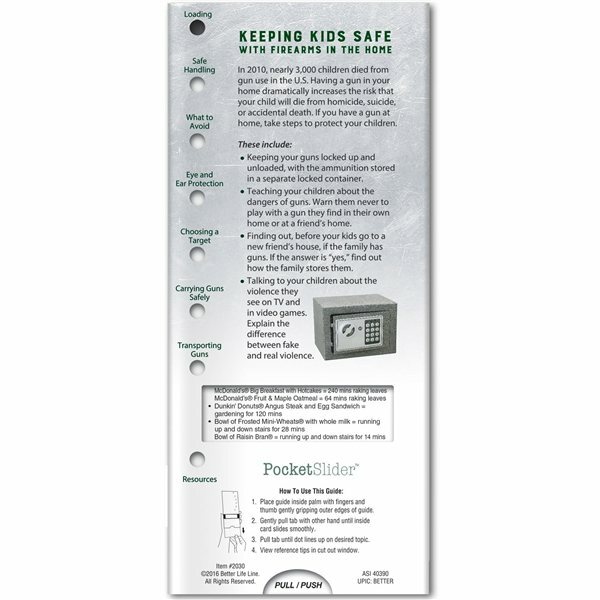 The two-sided pocket slider is made on high quality, glossy card stock that is durable and fun to use. More availability regarding colors I loved the product and those that received it were really impressed. This has been the best product option I have choosed to hand out to my customers as souveniers. Love these products. the products are perfect for what we needed. Good value for money product. Bottom line clients loved it. I have ordered before from your company and have been very satisfied. It's very sturdy and the chrome definitely looks stylish.